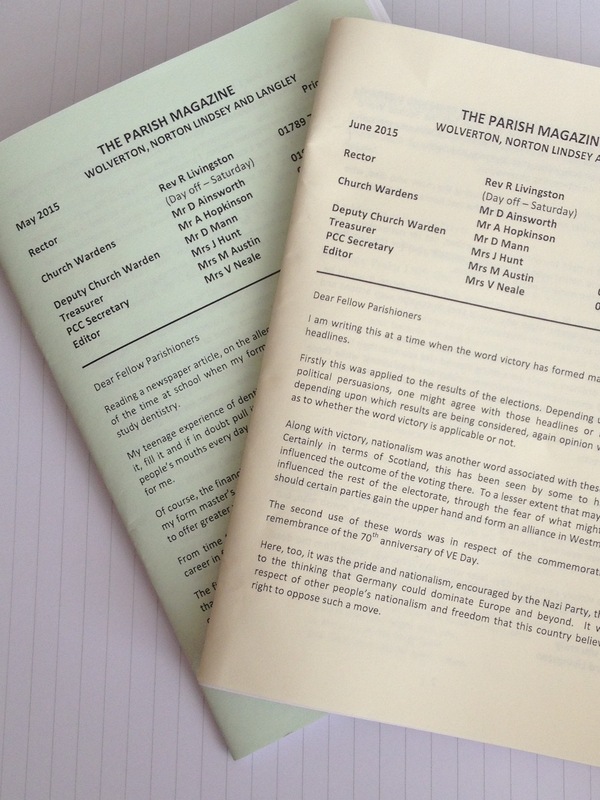 Stay up to date with what’s happening around you, the parish magazine covers the parishes of Wolverton, Norton Lindsey and Langley and is currently distributed to 350 houses. It is published monthly and hand delivered to your door for the bargain price of £5.00 per year. Advertising in the parish magazine is very reasonable starting at £4 per month with discounts available for a full year’s advertising. Your contributions to the magazine are always welcome, the deadline for submission is 15th of any calendar month for inclusion in the following month’s magazine.